The Simms BugStopper Longsleeve Shirt Solid is a long-sleeve fishing shirt by Simms that is constructed with 65 percent polyester/35 percent nylon fabric with InsectShield Technology that will keep bugs and insects away from you during your next fly-fishing excursion. 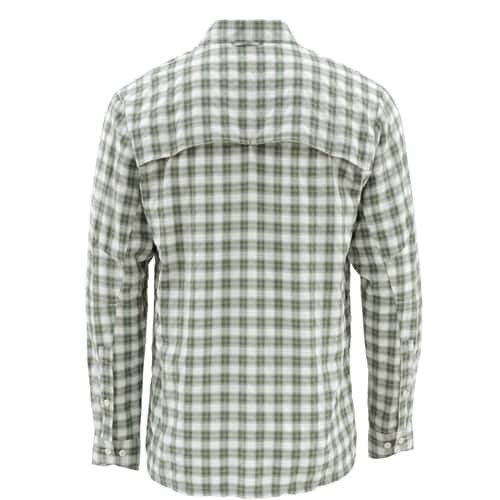 This Simms BugStopper Long-Sleeve Shirt is quick drying, wicking and contains UPF30 sun-blocking protection to help protect your skin against harmful sun rays while you are wearing this feature-rich fishing shirt by Simms. 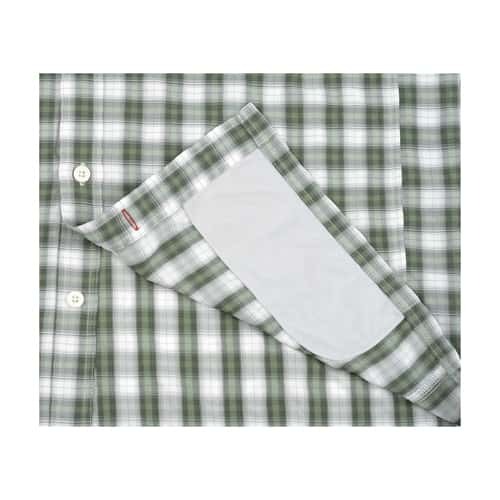 The Simms BugStopper LS Shirt has two zip-secure, fly box compatible chest pockets where you can safely store your fly boxes while you are wearing this long sleeve fishing shirt. 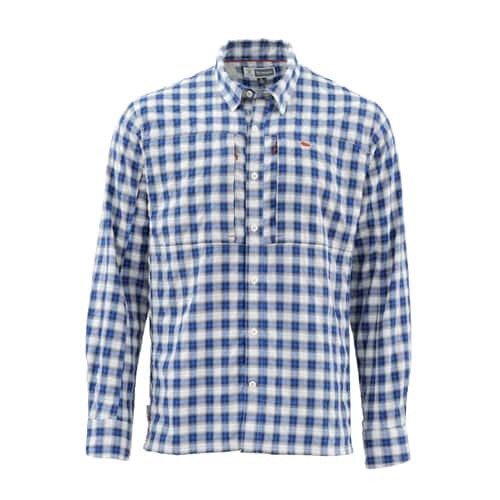 This LS Shirt also comes with articulated elbows and sunglass chamois inside the bottom hem of this LS fishing shirt.